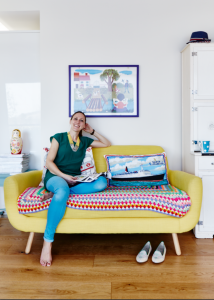 As an Interior Stylist with over 15 years experience creating striking designs for interiors magazines, advertising clients, events and domestic projects, I can help with any number of style dilemmas. I pride myself on getting the most from your budget without compromising on the finished design. To see what I can do for you, drop me an email or pick up the phone. 25 Beautiful Homes, Real Homes, House Beautiful, Kitchens Bedrooms & Bathrooms, Ideal Home, Your Home, Red, Period Living, Country Homes & Interiors, Real, Grand Designs, Sainsbury’s, OK, Surrey Homes, Surrey Time & Leisure, Rue.